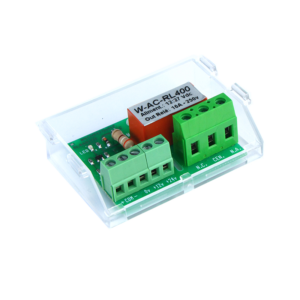 This power relay is projected to 230V application with high load capacity. The low voltage command, positive or negative chosen and in a lower voltage (1Am) is its absolute peculiarity. 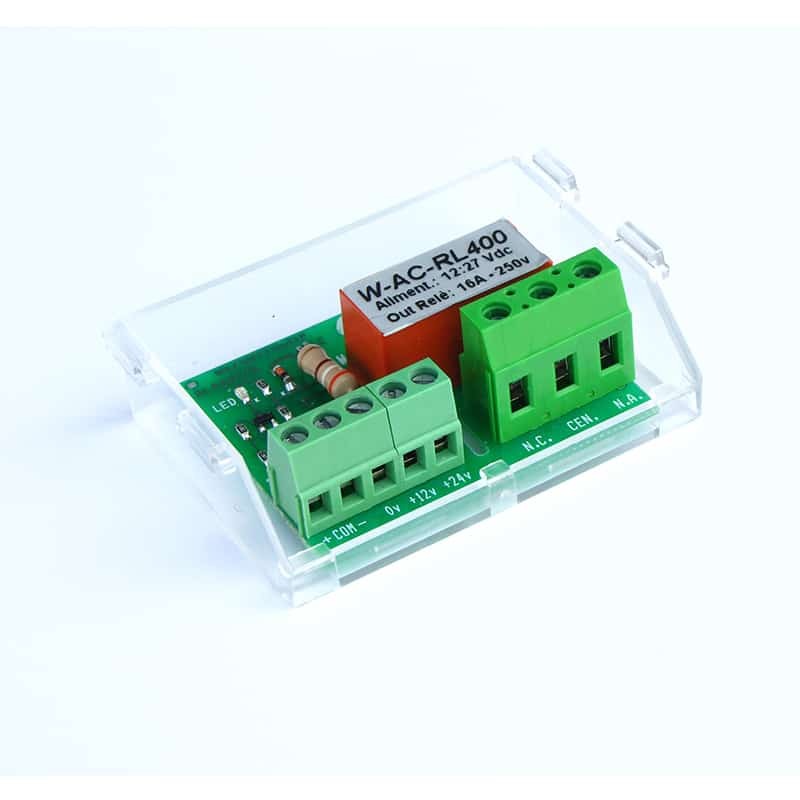 Its relay supplied on low voltage works as antitheft, control access and home automation where you can control operator, lamps, motors and other powers and high voltage with a easy and direct command. This means that the inductive elements or capacitive (locks, engine etc..) must offer an edge to this voltage which is directly proportional to power factor cos ø. To questions What the playload is on inductive load, The answer depends on this coefficient.